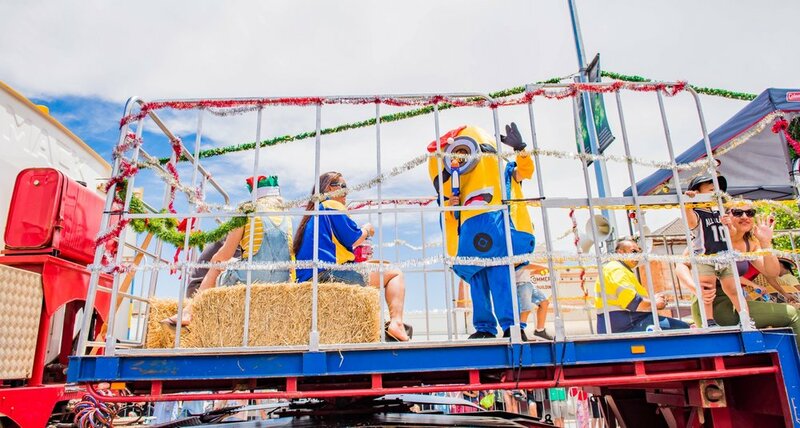 Now in its 19th year, the festival drew nearly 15,000 people to celebrate Saint Barbara the patron saint of miners and the mining industry’s contribution to the state’s heritage, economy and community. 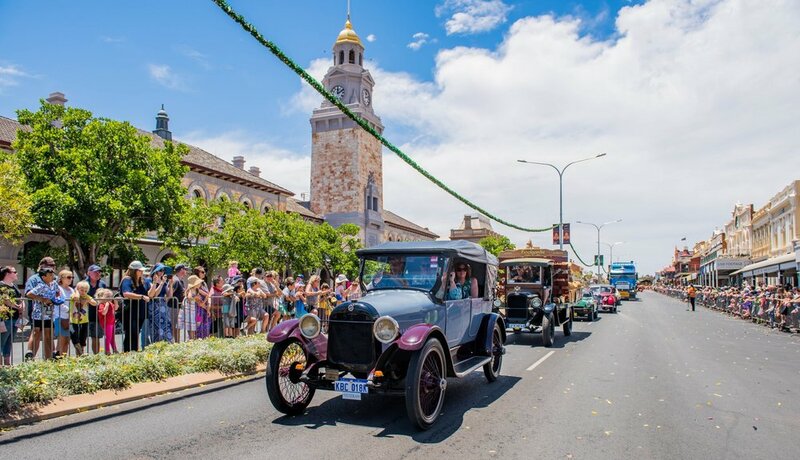 This year the festival pulled out all stops, making it bigger and better than ever before, as the City marks 125 years since the first gold discovery. 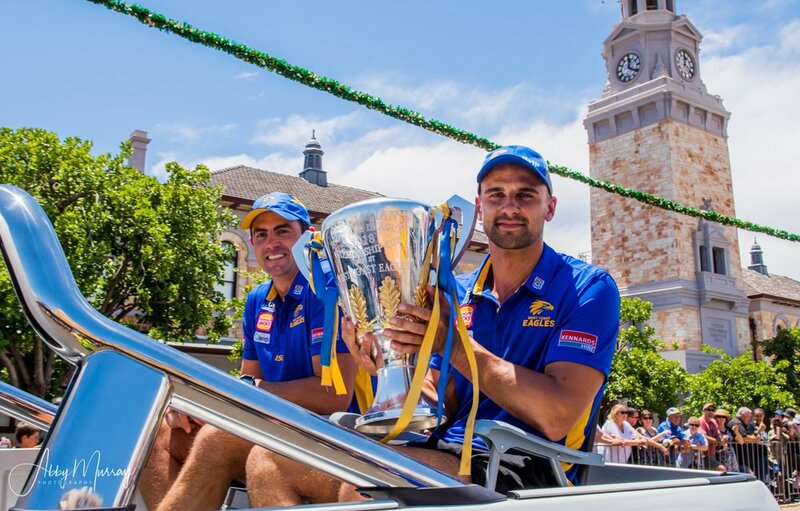 Prior to the popular parade kicking off, City of Kalgoorlie-Boulder Mayor John Bowler presented West Coast Eagles player Dom Sheed and assistant coach Jaymie Graham with special honours, before they too joined the festivities. 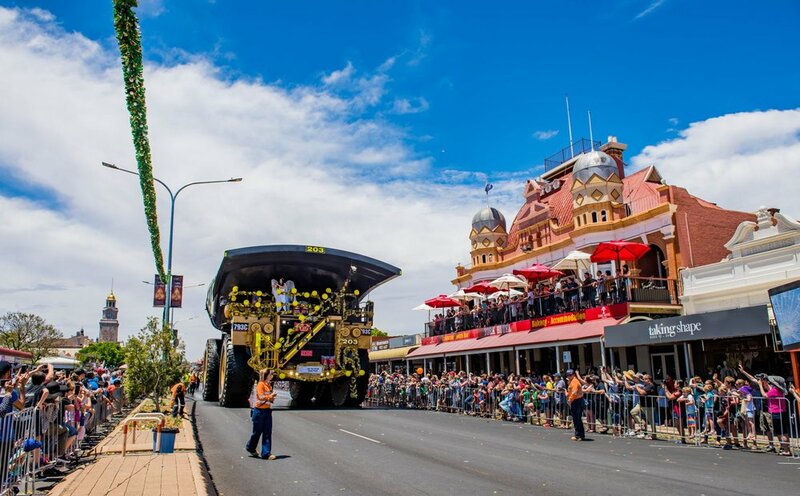 The parade is famous for the mammoth mining vehicles thundering through town, however many other groups also get involved. 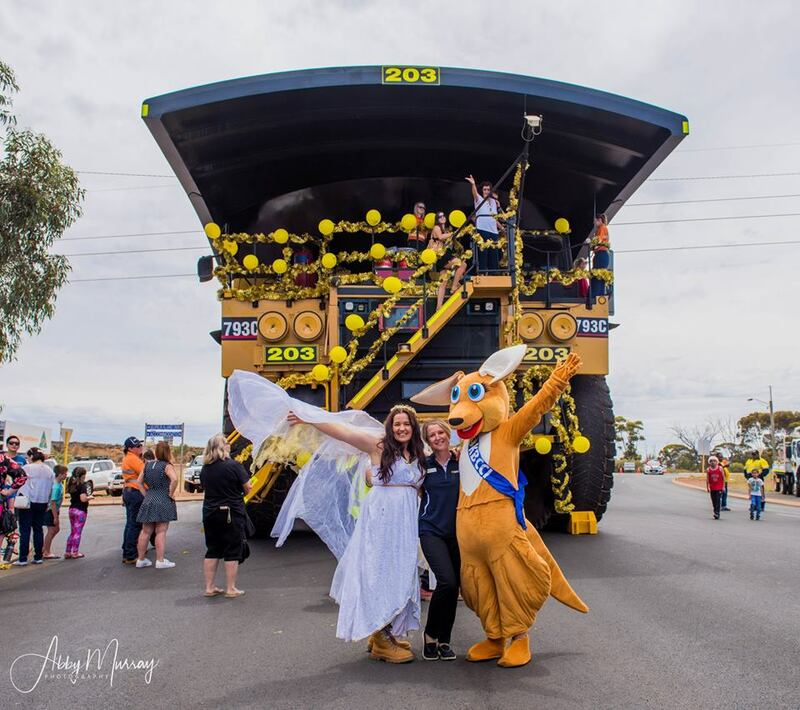 As always KCGM’s iconic 793C haul truck provided the awe-inspiring finale, roaring down Hannan Street from the Super Pit gold mine for the closure of the parade, with Christmas angel Tamara Sharp standing at the front of the truck. 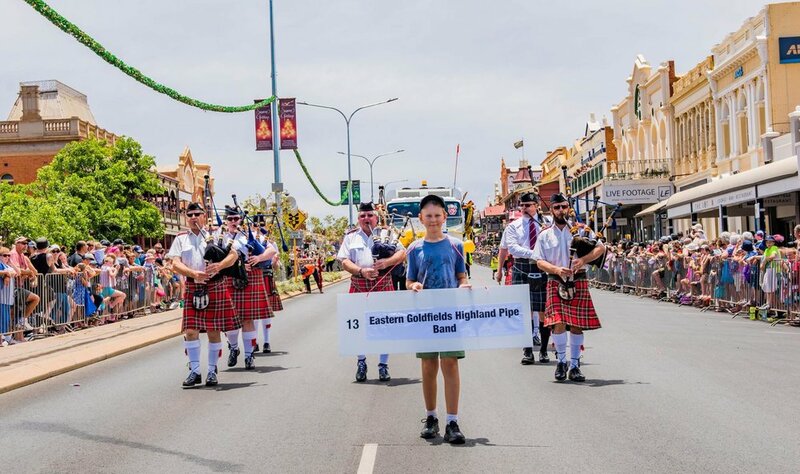 “KCGM has been a proud sponsorship partner of the St Barbara’s parade since its inception in 1999. 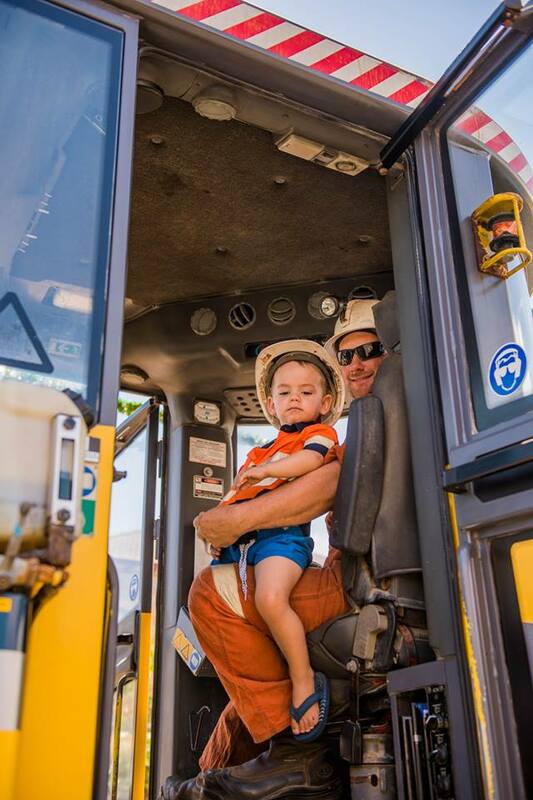 We had nearly 50 volunteers from across our business who did a remarkable job and represented KCGM well. 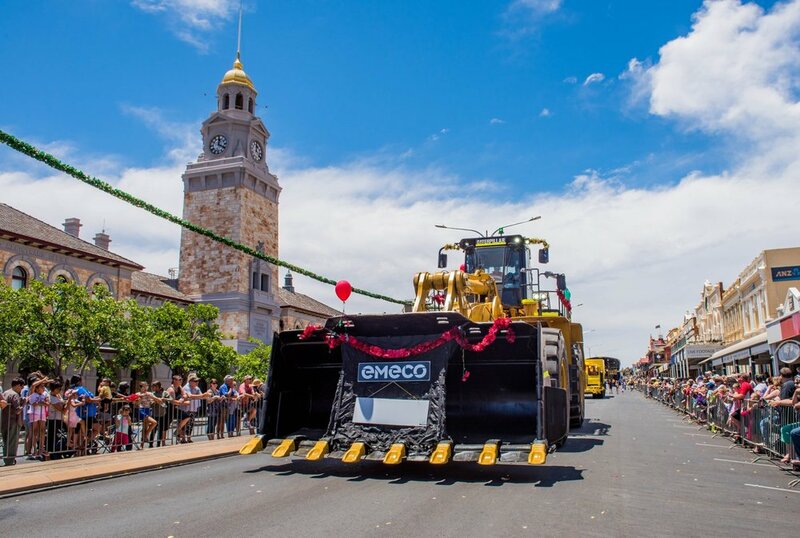 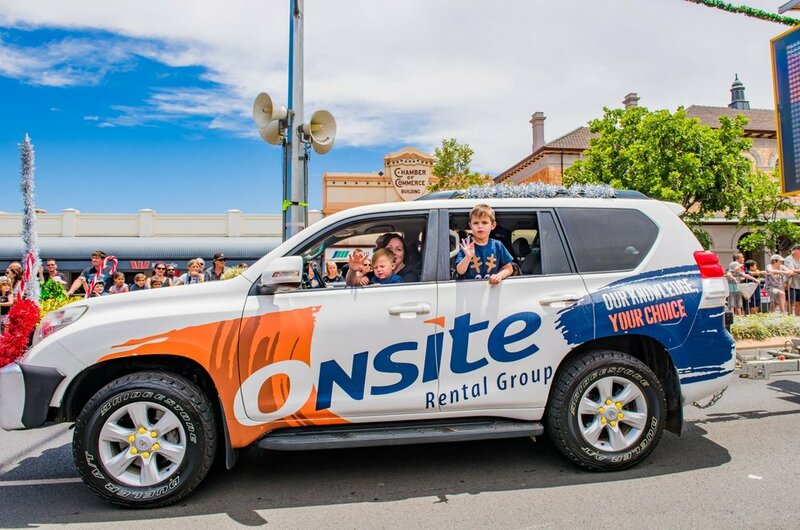 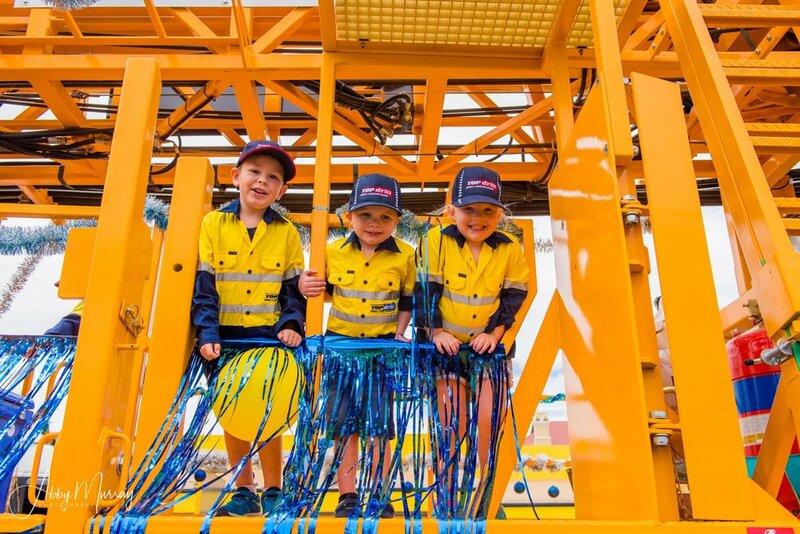 “The parade is a unique opportunity for us to share our love of mining with the local community,” said KCGM General Manager Cecile Thaxter. 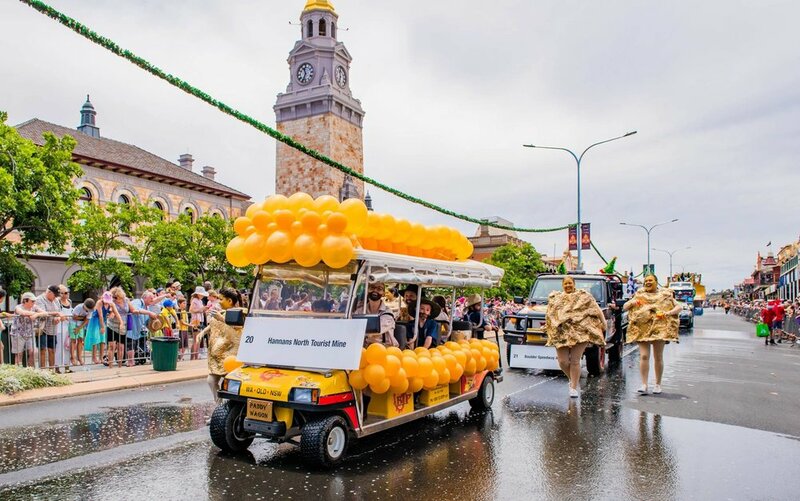 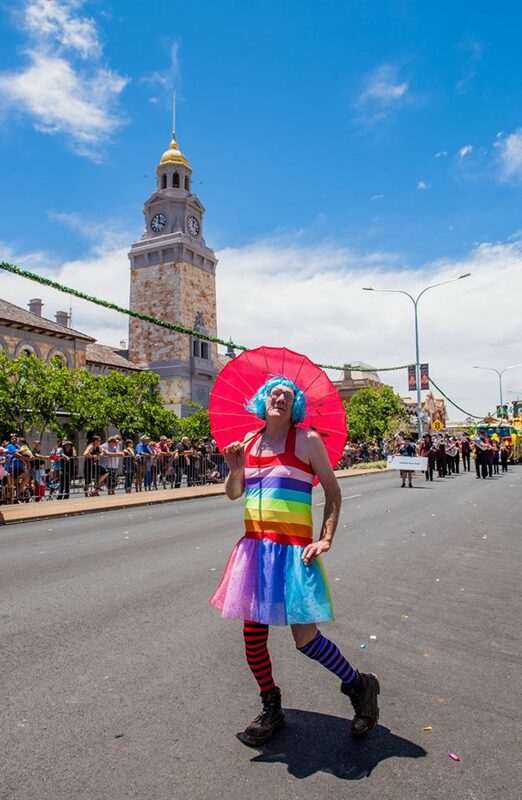 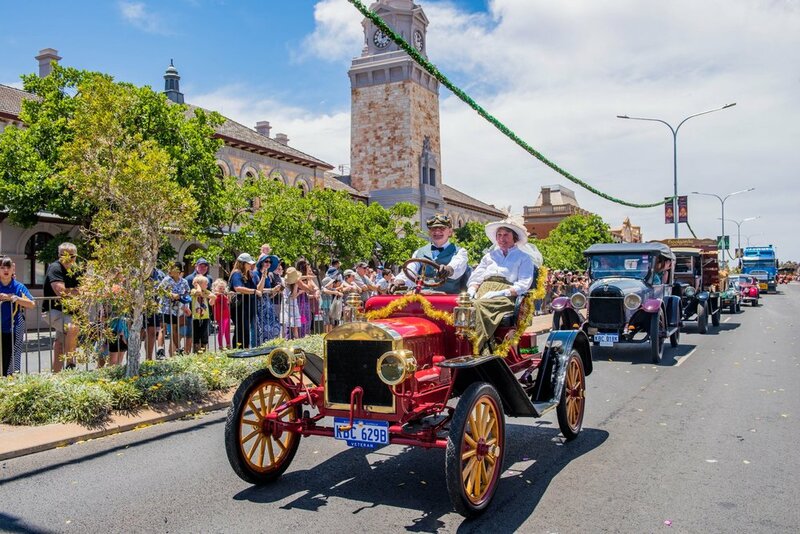 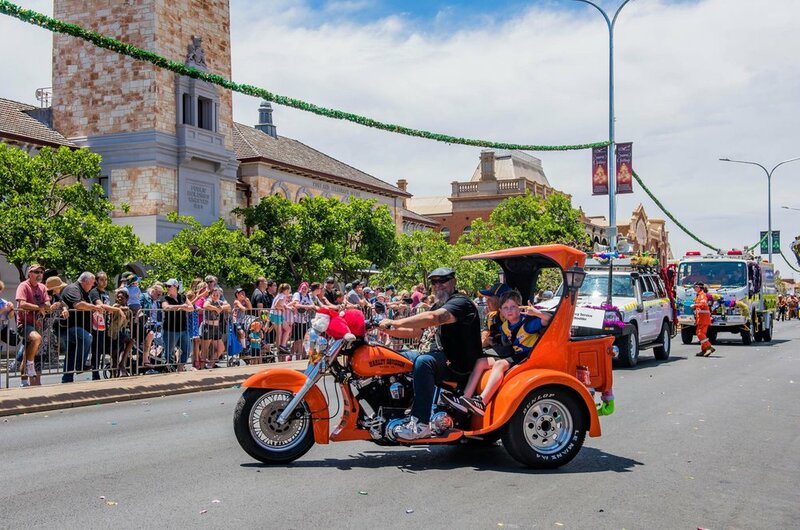 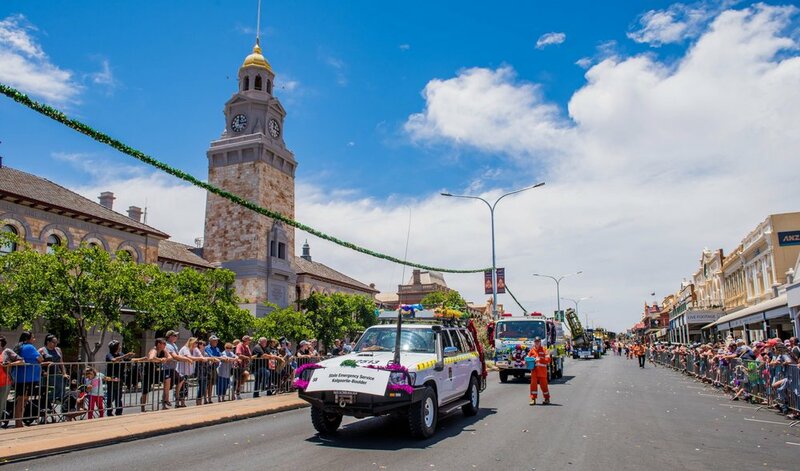 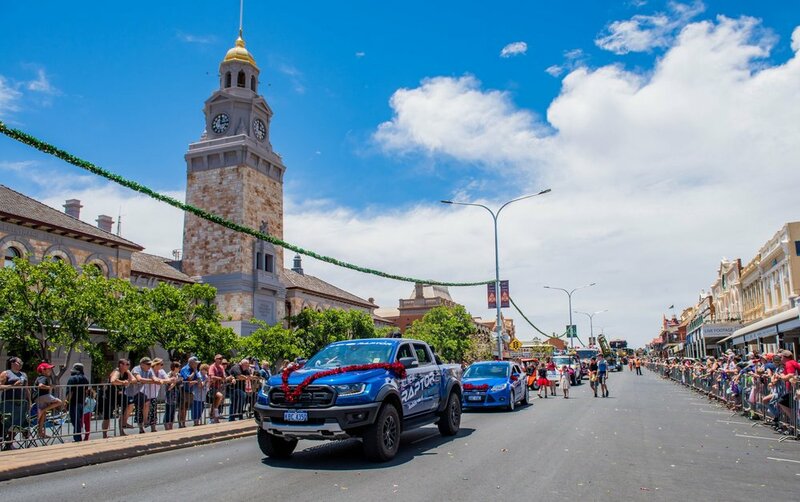 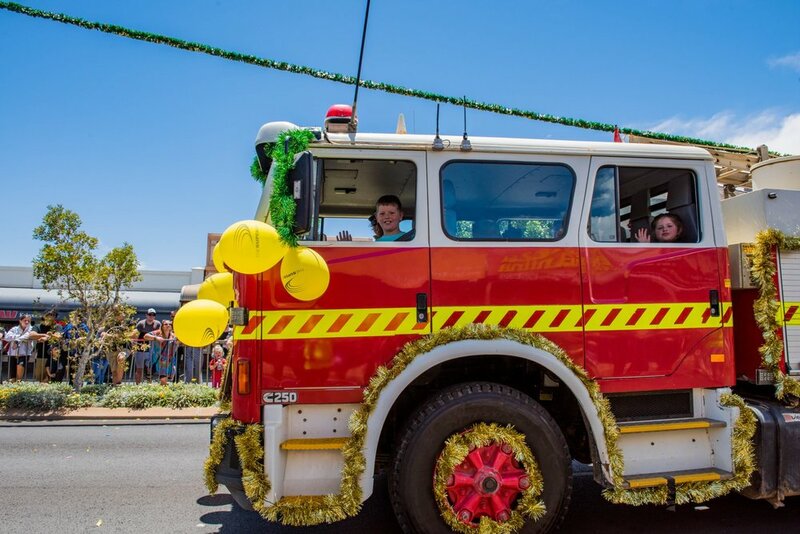 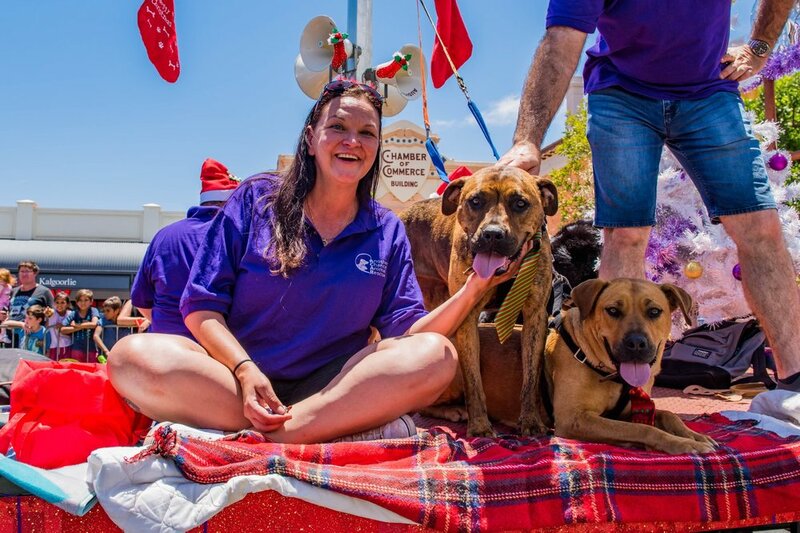 This year’s glittery floats included representation from over 60 local businesses, community groups, dancers, school students, emergency services, army reserves and other mining industry service providers. 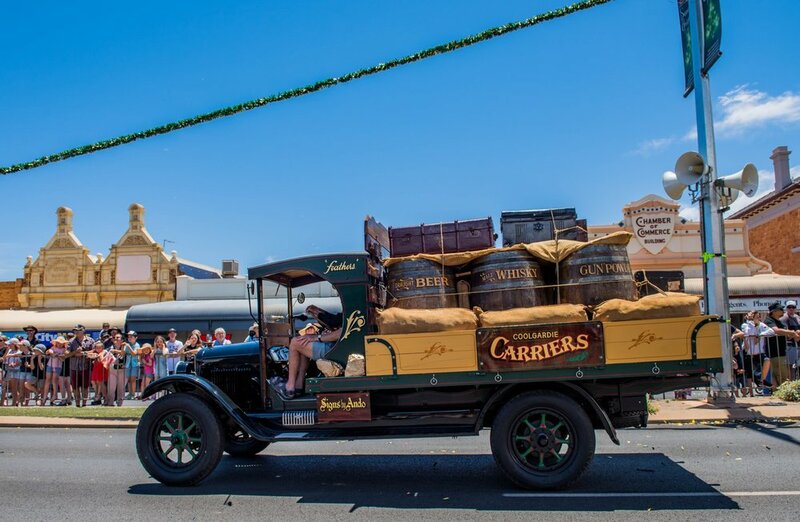 There were also several vintage cars and a display of ‘prospectors’ dressed in gold rush garb. 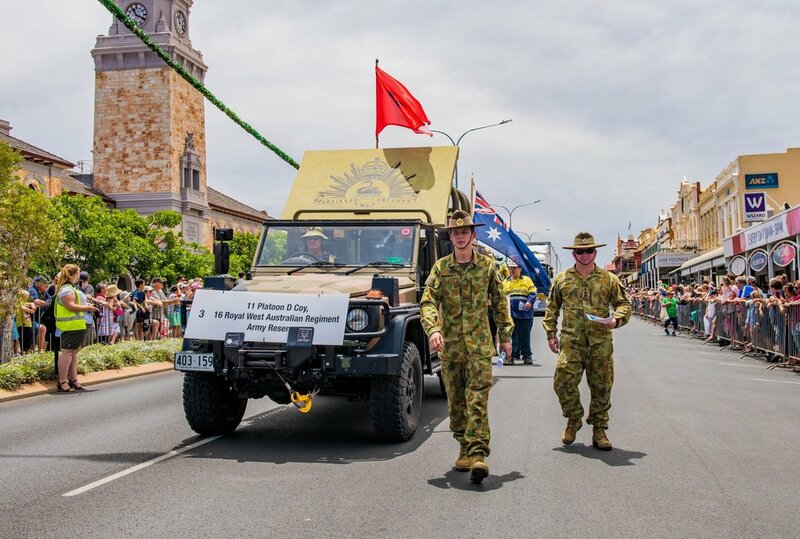 “Parade highlights were the 11th Platoon Army Reserves, Northern Star Resources S171 loader, Evolution Mining’s AD60 underground truck, the parade finale KCGM’s 793c dump truck, and BHP’s Nickel West Slag Hauler,” said St Barbara’s Festival Committee Treasurer Rowena Olsen. 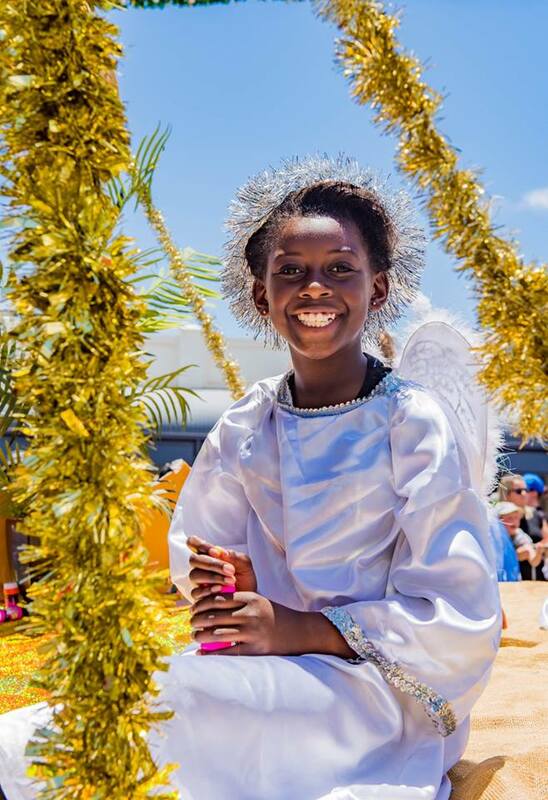 The festival began with a memorial service on Thursday evening, the public gathered in St Barbara’s square to lay floral wreaths at the base of the patron’s monument. 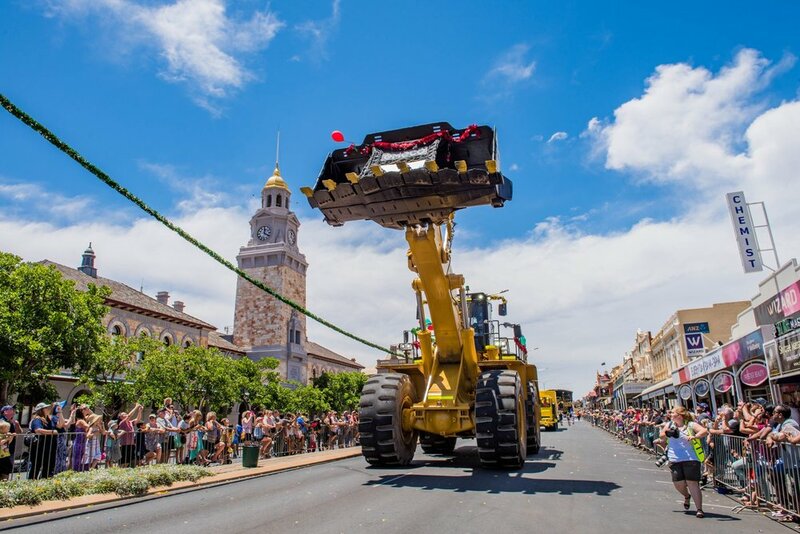 A symbolic miner’s lamp and candles were lit in vigil of those who’ve lost their lives through mining related incidents. 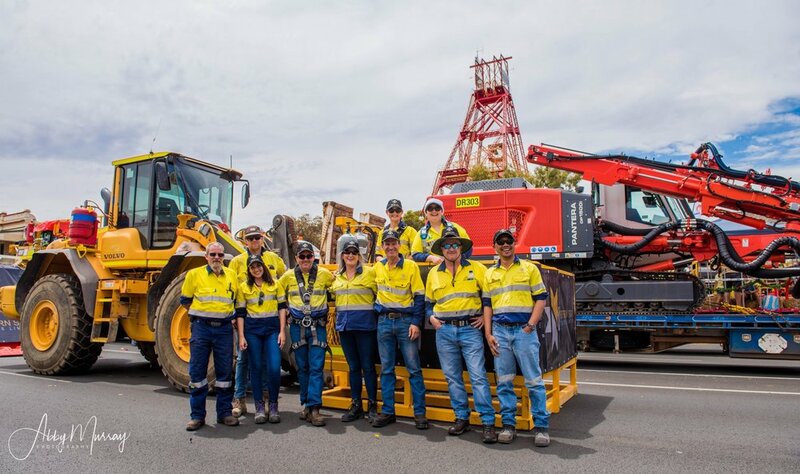 On Sunday a 6 metre tall Christmas tree was unveiled at the Museum of the Goldfields, adorned with hard hats to not only spread festive cheer but to honour the mining industry and send a strong safety message. 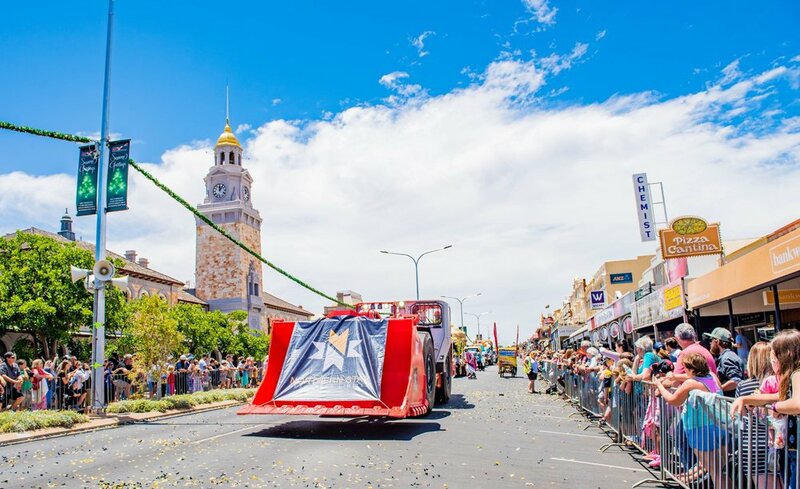 The tree bears the names of 1,500 miners who had died on the job since the region began discovering gold. 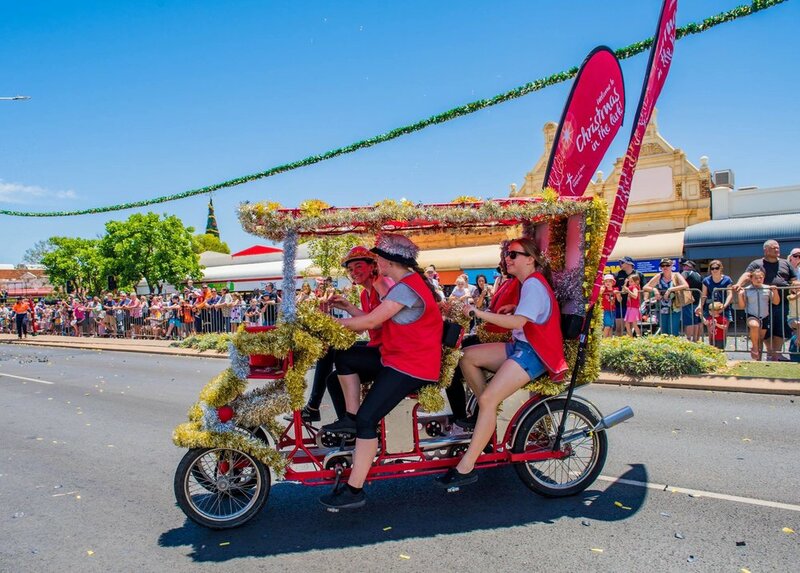 “The St Barbara’s Festival Committee look forward to planning 2019’s parade and festival, which will be our 20th anniversary,” Ms Olsen concluded. 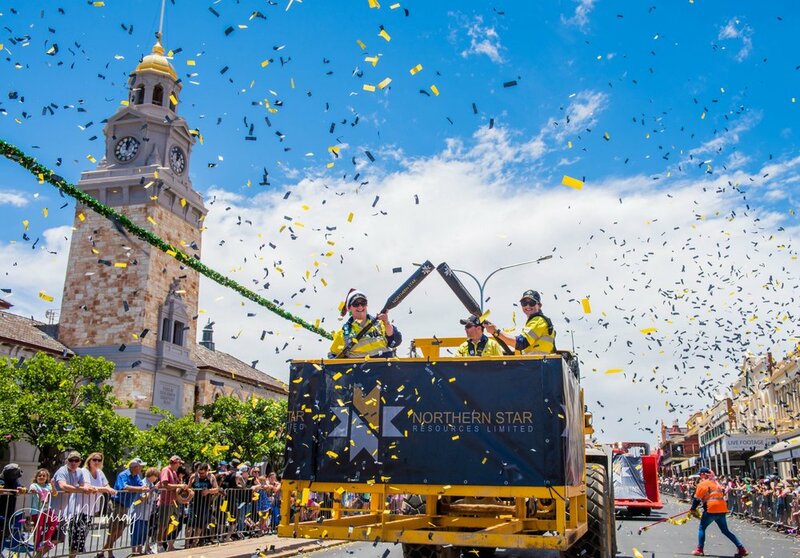 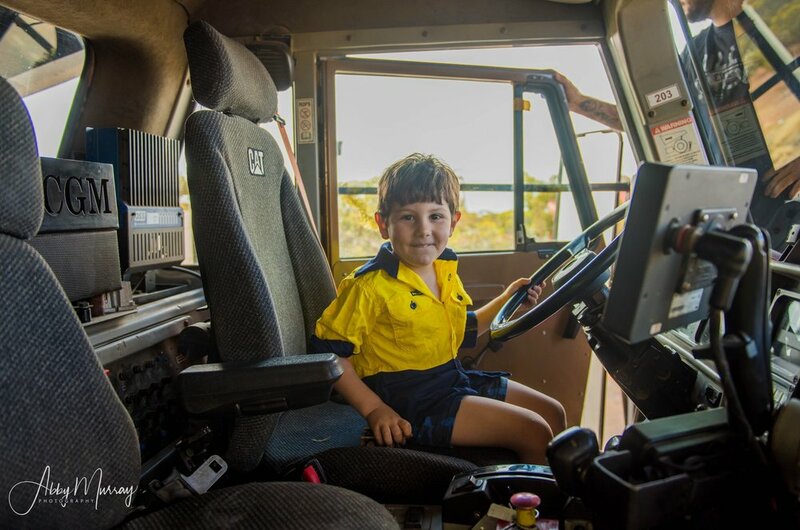 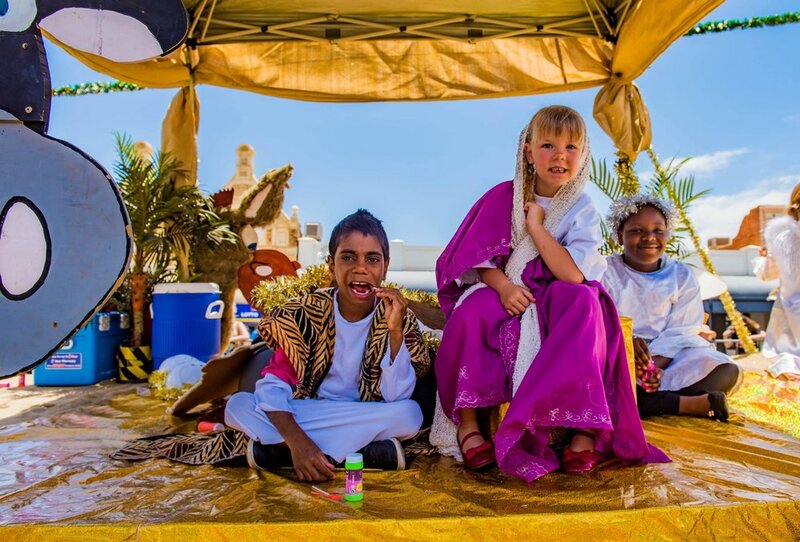 The 2018 Topdrill St Barbara’s Festival was organised by founding partners the Kalgoorlie Boulder Chamber of Commerce and Industry, Chamber of Minerals and Energy WA and City of Kalgoorlie-Boulder, and was sponsored by Gold Industry Group members Northern Star Resources, KCGM, SMS Mining Services, Evolution Mining and Norton Gold Fields. 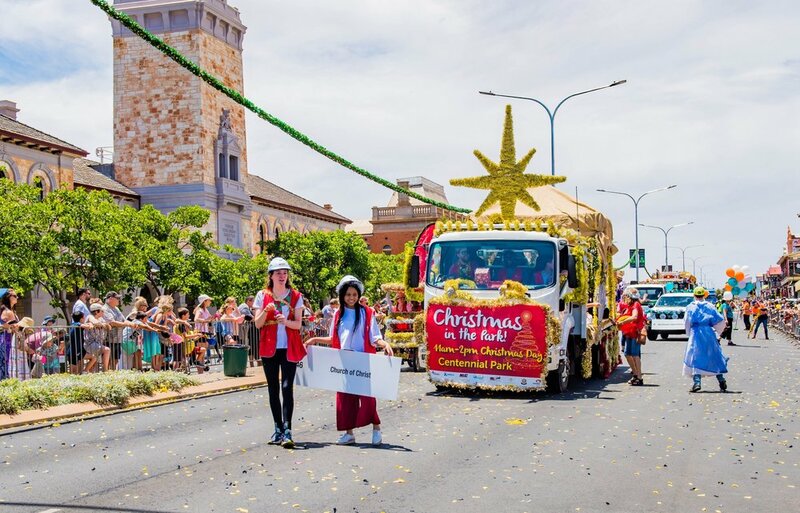 Read more Community News, Tourism News and Member News.